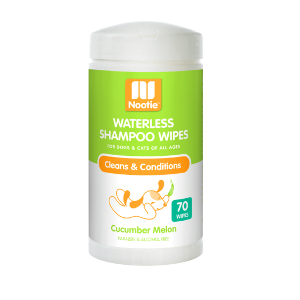 Nootie’s Waterless Foaming Shampoo lightly scented with Soft Lily Passion takes the stress out of bathing! Now it’s easy to freshen up your pet’s coat without the water-splashing mess, just rub on and wipe off. Our gentle hypo-allergenic formula is safe for dogs, cats and puppies, leaving their coat clean, soft and smelling great. 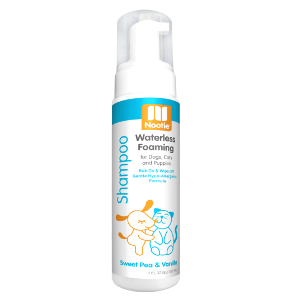 Nootie’s Waterless Foaming Shampoo lightly scented with Sweet Pea & Vanilla takes the stress out of bathing! 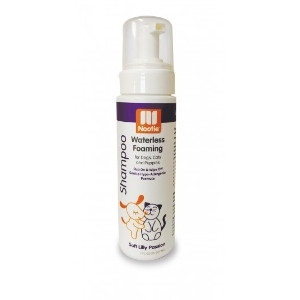 Now it’s easy to freshen up your pet’s coat without the water-splashing mess, just rub on and wipe off. Our gentle hypo-allergenic formula is safe for dogs, cats and puppies, leaving their coat clean, soft and smelling great. Tough odors can seem impossible to conquer. We have the perfect solution. Our odor eliminator naturally neutralizes the stink. Tough enough to tackle and eliminate SKUNK! 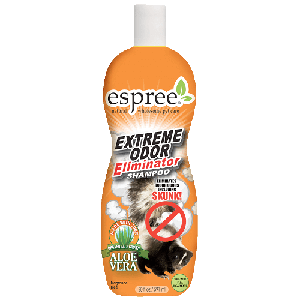 Rescue your pet with Espree’s proprietary odor eliminator blend and our organic aloe vera based shampoo. It’s like the stink was never there! Cats and water usually don’t mix! 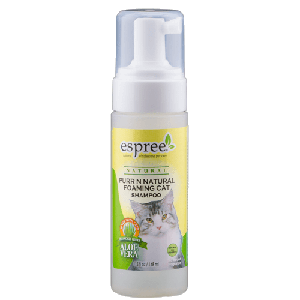 Your cat will purr over this waterless bath solution that makes bathing quick and simple, while promoting a healthy coat with shine.